You went to bed feeling fine only to awake during the night with excruciating tooth pain! You can’t imagine what happened to cause this, all you know is that you need relief as soon as possible. Sometimes same-day dentistry is difficult to come by, and that’s why your team at Smile Fitness Dental Center offers convenient morning, evening, and Saturday appointments, which makes them the walk-in dentist that patients in Phoenix, AZ, trust. Comments Off on Walk-In Dentist Near You! Healthy Gums and How to Keep Them! Just as your house is built on a firm foundation, so are your teeth – your gums! If your gums aren’t healthy, your teeth could be at risk. Here’s what your dentist wants you to understand about gum disease and the importance of maintaining a stable foundation for your teeth. Comments Off on Healthy Gums and How to Keep Them! 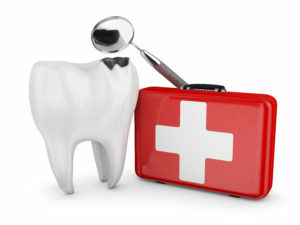 Does the idea of visiting the dentist make you uneasy? That’s okay; you’re not alone. Fortunately, sedation dentistry offers a gentle, effective way to get the care you need without the worry that keeps you away. Common options include nitrous oxide, oral sedatives, and IV solutions. In this post we’ll look at these approaches. 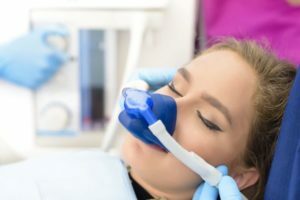 Comments Off on Is Sedation Dentistry Safe? Help! I’m Having Tooth Pain, What Should I Do? Your tooth feels sensitive to your coffee in the morning; however, you’re unsure if it’s the right time to contact your dentist. After all, ibuprofen seems to manage the discomfort. The next thing you know, you are waking during the night with severe tooth pain. Now you’re sure it’s time to call the dentist, but you wonder if you could’ve avoided the pain and these waking hours during the night? Here’s what your dentist wants you to know about tooth pain. Comments Off on Help! I’m Having Tooth Pain, What Should I Do? A Dentist Gives a Short Guide To Root Canals – Find Out What To Expect! In many ways, it’s easier to fear something you don’t understand than something you do. 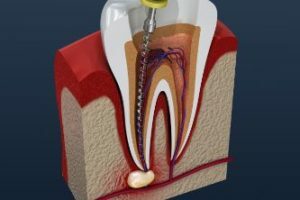 Root canals are a classic example – many people dread hearing from their dentist that they need a root canal, but they aren’t quite sure why it’s necessary or how the procedure is performed. 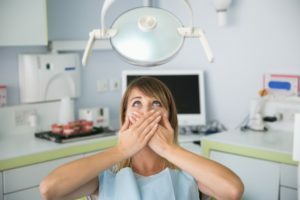 One thing is certain: The vast majority of patients can’t believe how much easier their root canal is than they expected! 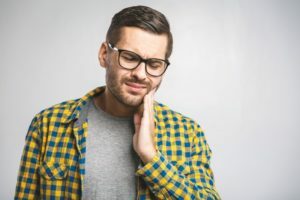 Keep reading for a short guide to learn about the symptoms you might notice when you need a root canal and what you can expect from the procedure. You’ll also get some ballpark figures for the cost so there won’t be any surprises! Comments Off on A Dentist Gives a Short Guide To Root Canals – Find Out What To Expect! Periodontal (gum) disease affects more than half of American adults in some form, and what’s worse is many of them don’t realize they have it. That’s because this condition progresses slowly at first, with very few symptoms and hardly any pain in the beginning. So how can you protect yourself against gum disease? Your dentist explains. Why Would an Emergency Dentist Need To Take X-Rays In an Emergency? Despite the best intentions, life doesn’t always go according to plan. Unfortunately, accidents, mishaps and emergencies happen to everyone at some time or another – and sometimes they affect your teeth. If you’ve ever found yourself in a dental emergency, you know that, above all else, you want to get out of pain as quickly as possible! That’s why it can be frustrating to arrive at your appointment with an emergency dentist, only to be told that X-rays need to be done. However, there’s a good reason a dentist may need X-rays: They give them the crucial information they need to provide you with the best care. Keep reading to learn more about why X-rays may be needed in an emergency and what they can tell a dentist about your oral health. Comments Off on Why Would an Emergency Dentist Need To Take X-Rays In an Emergency? Did you crack a tooth after biting into an ice cube from your favorite drink? Maybe you were spending time outside playing football with friends, but forgot to wear a mouthguard? Now that your tooth is significantly damaged, you need to visit an emergency dentist right away! However, if you’ve avoided seeing the dentist because of a dental fear or anxiety, there’s no need to worry. Sedation dentistry can help you get your emergency handled instead of simply putting it off and letting your situation become even worse! When Do I Need a Dental Extraction? Your tooth has been waking you up the past couple of nights, and now the pain has become unbearable. You’re ready to contact your dentist and have it removed, anything to stop this throbbing pain! 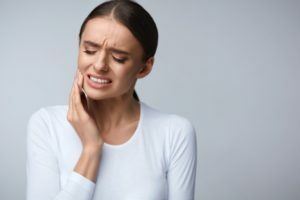 It’s definitely a good idea to call your dentist as soon as possible when you’re experiencing dental pain, but the good news is that you might not need an extraction. Here’s what you should know. 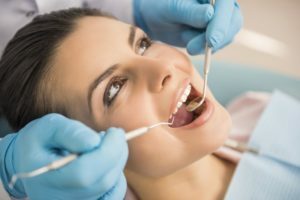 Comments Off on When Do I Need a Dental Extraction? Having a tooth knocked out is a traumatic and devastating experience. The outcome of your tooth is greatly affected by how you handle your condition. 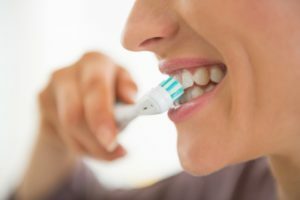 Your emergency dentist in Phoenix explains exactly how you should manage this type of situation in order to save your tooth.